As an Episcopal school, All Saints’ provides an exceptional academic program which incorporates religious education honoring and celebrating the inherent worth of each individual. In 1961 All Saints' Day School was founded in Pacific Grove by three Episcopal parishes under the direction of Rev. David St. Leger Hill, with the Rev. Peter Farmer as Headmaster. The school was originally known as the Bishop Kip School, but soon became All Saints' Episcopal Day School after All Saints' Church in Carmel gave the school its pledge of support, as well as its name. 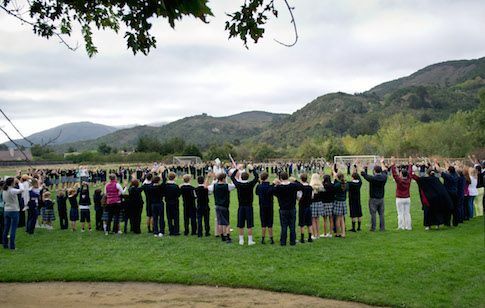 In 1965 the school moved to its present, beautiful and permanent location in Carmel Valley. 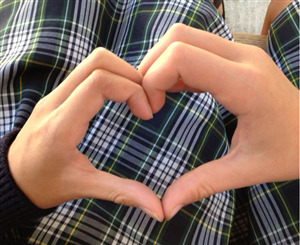 All Saints' Day School is separately incorporated, retaining its unique blend of academic excellence with a focus on individual worth within the traditions of the Episcopal faith. The Episcopal way is an inclusive tradition that values diversity and embraces the full spectrum of all human beings. In particular, one of the distinguishing characteristics of the Episcopal ethos is that we invite people of all religions to be members of our community. We believe that we have much to learn from one another. We invite you to explore the All Saints' Episcopal Church website, or call (831) 624-3883 for more information. we prepare children for lives of learning and service. We commit to the growth of the whole child, spiritually, intellectually, emotionally and physically, and to imbue each child with wonder and appreciation for the gift of life, love, knowledge and nature's magnificence. We believe in inspiring our young people to live God-centered lives that are rich with gratitude and grace, providing daily opportunities for giving thanks, worship and spiritual development. We develop our children's personal and intellectual discipline and challenge them to achieve the highest standard of academic excellence, consistent with their unique gifts and potential. We believe in free intellectual inquiry and open, ethical and spiritual discussion across academic disciplines and all aspects of community life. We are committed to developing independent thinkers who are self-aware and resilient and capable of transcending self-interest to live authentic and purpose-filled lives. We believe in challenging our young people to claim their own power and voice, speaking from their hearts with the courage of their convictions and the wisdom to know when and how to act. We value and honor the love of family and community modeling meaningful and respectful relationships, cherishing our beloved traditions, and working together in the fulfillment of our mission. We value the commitment by each member of the school community to grow in service to others and the willingness of our adults to journey alongside our youth as we integrate new insights about our responsibility to care for one another. We commit to igniting our students with a lifelong love of learning, and a deep, unquenchable sense of curiosity that will burn intensly thoughout their lives.